We are all so aware of the lack of diversity amongst foundations in our everyday high-street stores, so when it comes to looking for a foundation that embodies your true colour you know its a keeper. If you are like me, than many of you probably started your make-up journey in the same stores as every other girl, hitting up MAC was the ''IN'' thing and only then did you start to broaden your search for the perfect foundation. For those who are looking for a foundation reference, I wear MAC NC55 or NC50 Studio fix fluid depending on whether we are in winter or summer. I was kindly samples to try from Oxygenetix* range, by sending over the company my Mac shades as reference. With that they sent over ''Honey'' and ''Coco''. With such good reviews in the beauty community, I was keen to know whether the brand was able to match me well and what the finish and consistency was like. Oxygenetix foundations are renowned for having a formula that is suitable for acne sufferers. 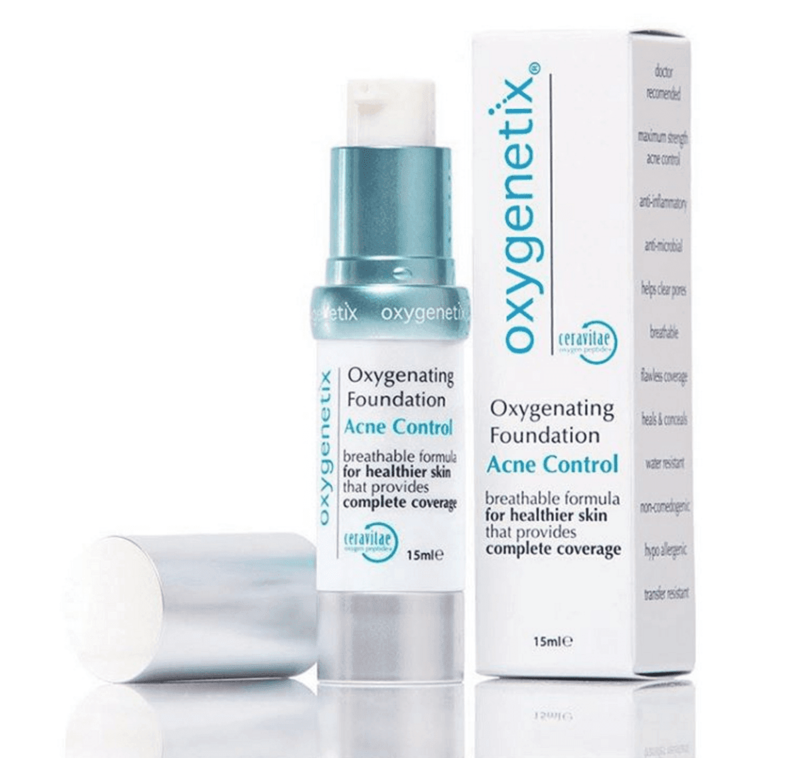 Oxygenetix foundation is suitable for most skin types, including sensitive skin and of course acne prone blemish skin. The brand has two formulas for their foundation, and I was sent the Acne Control version. This formula by Oxygenetix is infused with 2% salicylic acid which helps to calm acne build up and calm/sooth the skin as well as improve the appearance of the skins complexion. The first time I tested out the foundation it was apparent even before doing a proper swatch, or test patch on my face that Coco was too dark for me. Whilst Honey was a better match (and the swatch blended perfectly on my arm) due to my face being slightly darker than my body, it came across lighter than my complexion. To find a middle ground I attempted mixing shades to find the perfect colour. Neither foundation was a perfect match however a shade down (deeper) than Honey may have worked. The foundation itself has amazing longevity, and is breathable even with oily skin amongst my t-zone. The foundation does not slip or slide or go patchy within a few hours, even in some of the hot weather we have been experiencing in London, this little beauty keeps my face looking somewhat put together. The oxygenetix foundation is medium coverage that can be build-able and for a foundation with acne control, I have not experienced any breakouts. Now to just find the perfect shade and this would be a winner.